The fact that many English dubbed files appear in the installer of MapleStory 2 makes many people believe that this game is going to be released worldwide. About the game, MapleStory 2 is a sequel to the famous online game MapleStory was released in 2003 by NEXON. To this new version, the graphics of the game has been transformed from 2D angle to corner angle. 3D top-down look with characters and animations designed in cute chibi style. MapleStory 2 is a non-target action where players can perform continuous combos through hot keys on the keyboard. In the process of playing, gamers can be destroyed environment as you like. 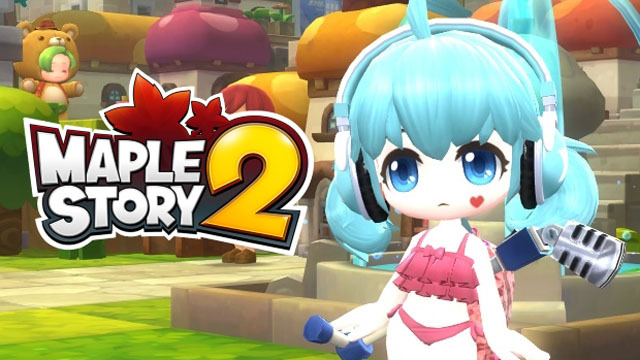 After the local version was released in Korea two years ago, MapleStory 2 was officially launched in China on September 21 by Tencent Games publisher. Recently, many players are sticking with this game suddenly discovered the English voice prompts raised questions about the upcoming MapleStory world. Currently, the Nexon side is still quite quiet and has not had any confirmation on this issue. However, the fans of the nostalgic title game MapleStory 2 are confident that they will soon have the opportunity to experience in the coming time.